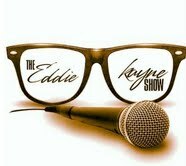 Eddie Kayne is the host of the #1 Indie Show, the Eddie Kayne Show. Born and raised in the Washington D.C. Metropolitan area, Eddie was always a fan of all genres of music but, the love he has for Hip Hop is irreplaceable. 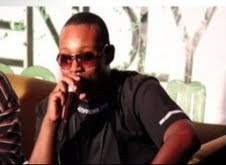 As a pioneer of Hip Hop, Eddie has worked with some of Hip Hop legends such as, Producer Max Kid. He has worked with artist such as the Legendary African Bambaatta and DC Scorpio. Three short years ago, Eddie recognized that the Indie music scene needed a voice. Having the expertise to discover raw talent and wanting to provide the world with diversity he decided to host his own show. Since then, he has become The Voice of Independent Artist Worldwide. 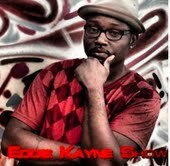 Eddie Kayne has taken his Indie Movement to a syndicated level while providing a platform for artists of all kinds. Eddie engages his audience during his action-packed shows while he spins some of the hottest independent music from around the globe. His listenership/viewership is heard in 96 countries worldwide. Eddie strives to help bring the independent movement to the forefront for the world to see many different undiscovered talented artists who are unsigned with no major distribution or funding. At the present time, Eddie Kayne is sponsored by Cricket Wireless MUVE Music and is currently doing a city tour in Washington D.C. with a national tour in development. He has created the first Indie Music Festival in the Washington D.C. area. Eddie is also co-owner of UrbanE TV, a website dedicated to independent music, films, music videos, fashion, and TV. Eddie Kayne currently features independent artists in short films that are directed and produced by UrbanE TV. Eddie’s Top Weekly Video Countdown airs every Tuesday night at 8pm (EST) where he also showcases live performances by Indie Artist and his syndicated radio show airs every Saturday from 1-4pm on WLVS Radio. He has also started his own digital record label "EKS Records". Eddie Kayne has also written a featured article highlighting an Indie Artist on Freeway Rick Ross new social media website www.freewaysocialmedia.com. 3375 When did you decide that radio was your calling? EDDIE KAYNE. I`ve always had a passion for music. I saw the lack of support for independent music 5 years ago and decided to provide a voice for indie artist world wide. 3375 How do you manage to keep the show exciting and entertaining? EDDIE KAYNE. Being spontaneous and out the box makes my show unique. You never know what`s going to happen on the Eddie Kayne show LOL. 3375 If you could change one misconception about you: What would it be? EDDIE KAYNE. One misconception about me is I`m not Hollywood I`m very approachable. Some folks mistake my passion for arrogance. 3375 What are your goal/plans with "The Eddie Show" for the coming months and years? EDDIE KAYNE. My goal is to make the world respect independent artist. We`ve been programed by mainstream radio/media. 3375 Tell us about UrbanE Tv? EDDIE KAYNE. UrbanEtv is the new world wide platform for indie artist world wide.Unlike World Star Hip Hop and other music social sites we don`t charge. 3375 What was your reason Starting UrbanE Tv? EDDIE KAYNE. UrbanEtv is a joint venture between myself and videographer MJR Visuals and we wanted to provide people unlimited free access to everything Indie. 3375 What influence does music have in your career? EDDIE KAYNE. Music is everything to me and a major contribution to my career. It`s the reason Eddie Kayne was birthed. 3375 Why did you decide to start your own record label EKS records? EDDIE KAYNE. Small independent labels are the future major labels and major radio is almost finished. Labels like EKS are important for todays music industry. My label is a way to make all this great music accessible to the masses. 3375 Where do you see R & B and Hip Hop in 5 years? EDDIE KAYNE. I see indie music as a whole taking over the music industry which will help spawn new R&B & Hip Hop artist. A new sound, a new way of doing business. 3375 What has been your biggest accomplishment? EDDIE KAYNE. My biggest accomplishment thus far is being herd in 96 countries world wide and obtaining sponsorship by Cricket Wireless. 3375 What impact has your family made in your career? EDDIE KAYNE. My wife Niki has been my biggest cheerleader! She manages my career and handles my day to day while still holding down a day job. being a mom and wife. Niki is a partial reason for my success! My kids really don`t like people to know who I am they just really want to live normal lives. My mom and sister even work with me on select events. TEAMEDDIEKAYNE which is my co/mgr Vivian & my PR Rep Kym are my extended family . Believe it or not women run my whole organization . With the exception of Authentic Sounds my show videographer my whole team is WOMEN!! Ironic enough LOL. EDDIE K. S/O My wife Niki, daughters Olivia, Temi and Khala, The entire team "Eddie Kayne" my friends fans and artist who`ve supported my dream and the movement. S/o D.J. Boom for believing in my vision !! Thank you for reading! Please feel free to comment and let us know what you think about this interview!